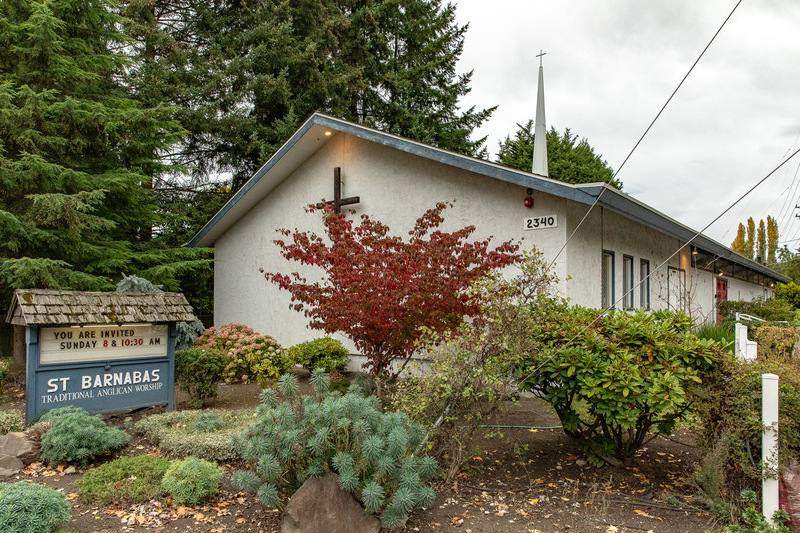 St. Barnabas Anglican church in Shoreline recently dedicated a hundred and ten year old piece of stained glass over the altar in their sanctuary. They purchased the piece from a restoration company in Minnesota, D. C. Riggott. 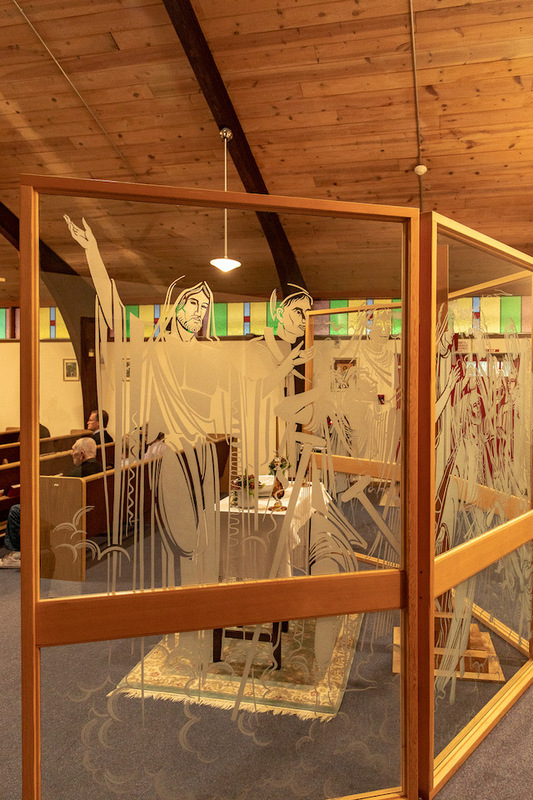 Two of their parishioners have done some online research, on the piece but have found out more about the pastor who dedicated the window than the actual window so far. Riggott arranged to ship the panel by a freight forwarder on a flatbed semi. It was received by Windorco of Seattle, whose owners are members of St. Barnabas. Father and son Greg and Jeff Staats fabricated a frame to hold the panel. Greg also adapted LED panels to backlight the whole picture. Windorco installed the window. The etched panel “Cloud of Witnesses” was obtained from Bethel Lutheran church when it was sold. (The building is now the home of Buddha Jewel Monastery). St. Barnabas has owned it for several years now. 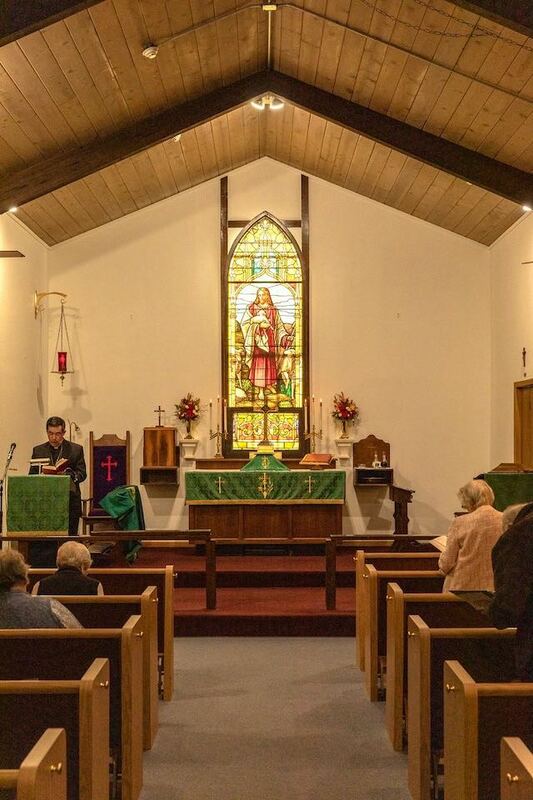 A member of Bethel had kept the panels in his garage until St. Barnabas was able to give them a home. Windorco picked up the panels from the Bethel Lutheran parishioner's garage. They built a custom frame around the original 8 panels. The proportions were important to maintain relations within the mural. It was too big to install over the altar, so it is freestanding at the entrance to the sanctuary.